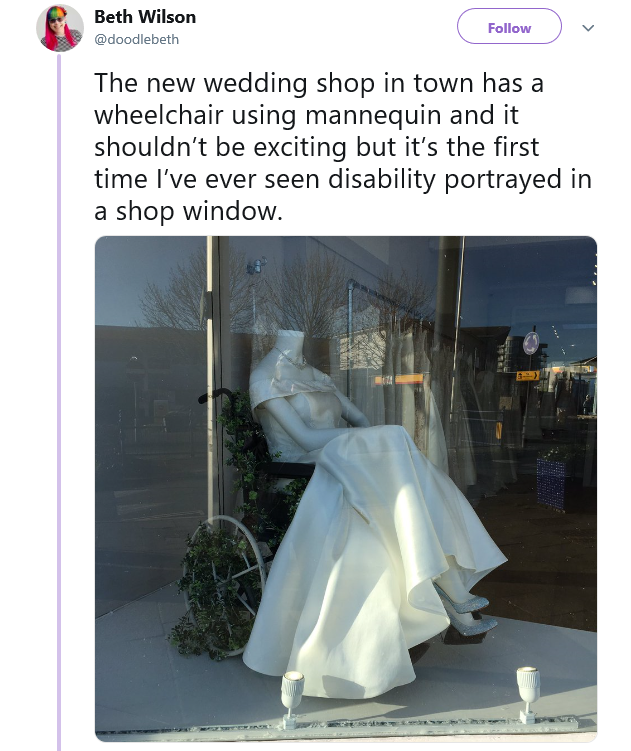 Woman In Wheelchair Sees Special Display In Bridal Boutique Window & Snaps Viral Pic. 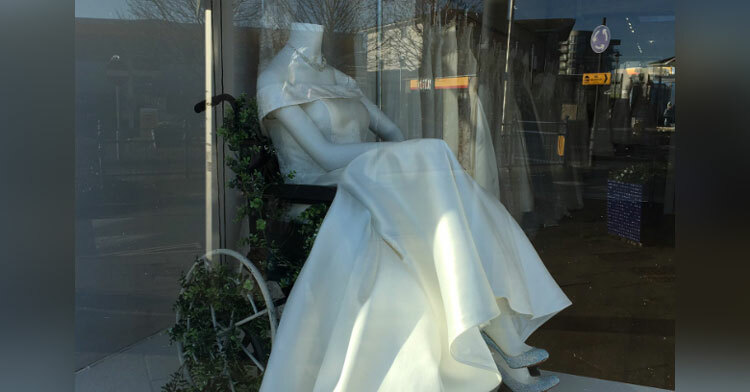 A shop called The White Collection Bridal Boutique in Portishead, Somerset, on the English coast displayed a wedding dress on a mannequin in a wheelchair. Beth was blown away. 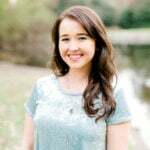 “20% of the population is disabled in some way,” says Beth. Yet she had never seen disability represented in such a beautiful way. To Beth, the fact the White Collection adorned the wheelchair with greenery, rather than hiding it, was icing on the cake. Beth never expected her tweet about the display to go viral — she even said all the media attention has been well out of her comfort zone! — but she couldn’t be happier to see so many supporting its message.